The new Speedtail is McLaren’s first ‘Hyper-GT’ and their ultimate road going car and the next chapter in McLaren’s Ultimate Series. The good news is 106 of these cars will be built; the bad news is all of them are already spoken for with a list price from £1.75 million or roughly $3 million Canadian, plus taxes. 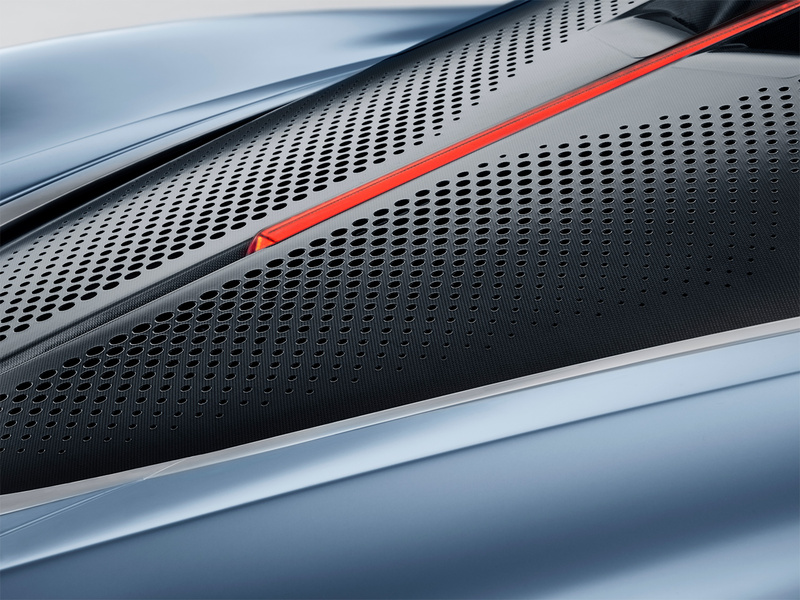 With a shape that appears to be carved from the wind, it is no wonder that this is McLarens fastest production car to date with a top speed of 403 km/h (250 mph). The Speedtail is powered by a pioneering gasoline engine and electric hybrid powertrain which delivers a combined 1,050 hp. 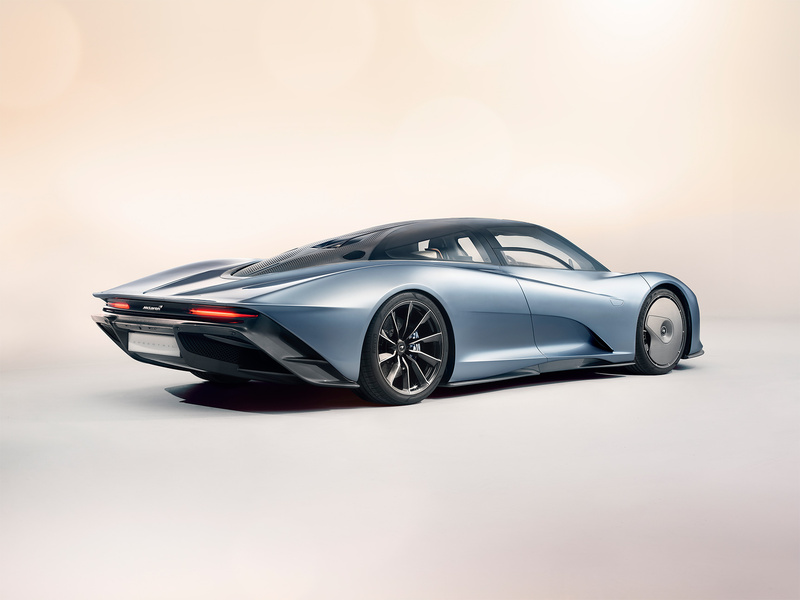 This will launch the Speedtail from 0-300 km/h (0-186 mph) in just 12.8 seconds. 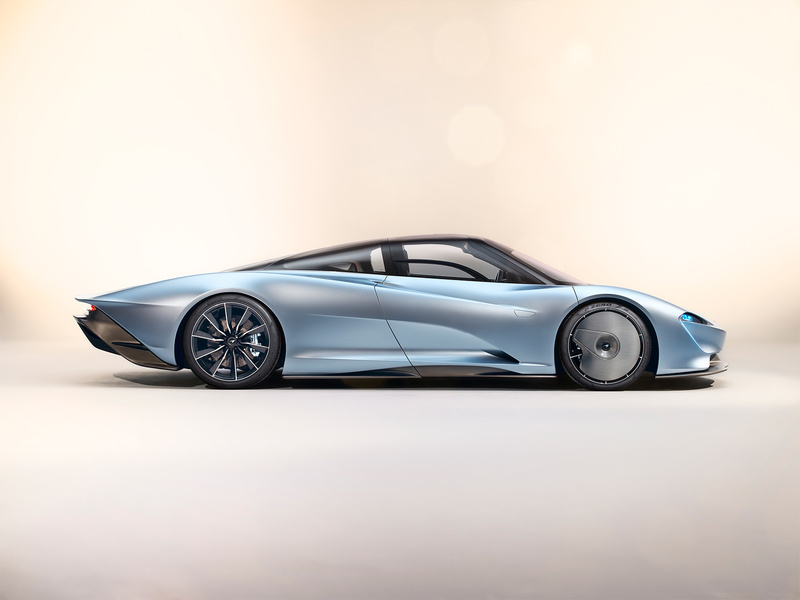 Customers who have placed deposits for their Speedtail were invited to view a design model of the car at a recent private preview event held in London. The first deliveries of this rarest of Ultimate Series McLarens will begin in 2020. 106 are being built which is the same number of McLaren F1’s that were built from 1993 to 1998. 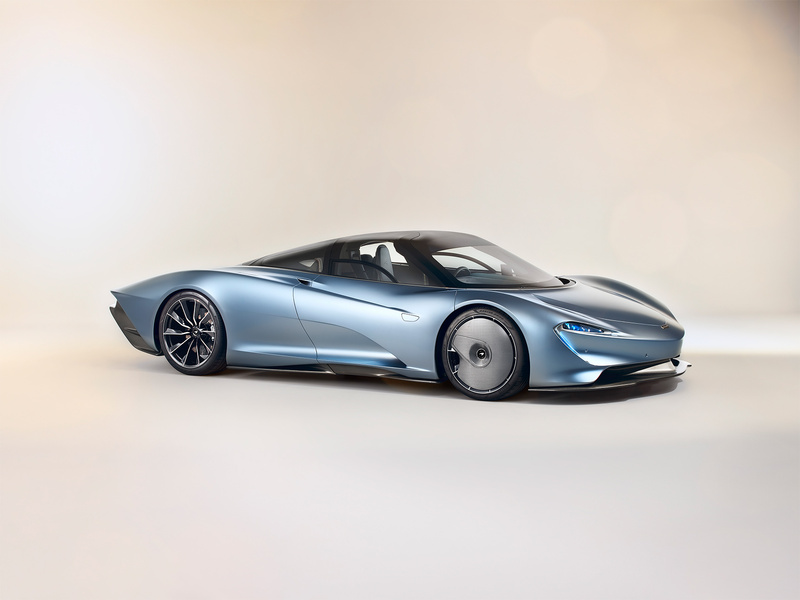 As the most powerful and most aerodynamically drag efficient McLaren, the Speedtail can exceed the 391 km/h or 243 mph record peak speed of the McLaren F1. The teardrop-shaped cockpit and aerodynamically optimised body are the foundation for the exceptional aerodynamic drag efficiency, with innovative features such as carbon fibre front-wheel static aero covers, retractable digital rear-view cameras, which are in lieu of mirrors, and patented active rear ailerons which contribute to the ultra-low drag coefficient. A speed of 403 km/h (250 mph) is achieved in a unique Velocity mode, which has been developed specifically for the Speedtail. Velocity mode optimises the hybrid powertrain for high-speed running, while also tailoring the angle of the active rear ailerons. 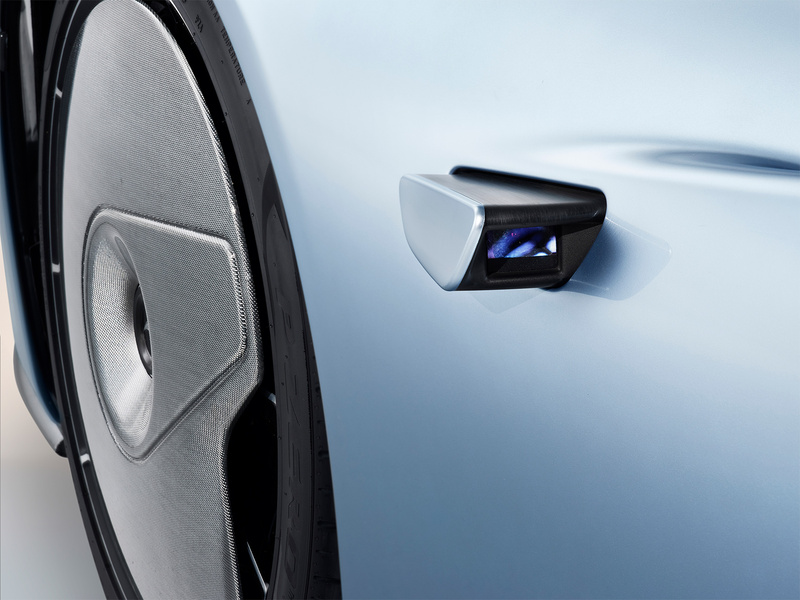 Additionally, the digital rear-view cameras can be retracted to further improve drag. Furthermore, the Velocity Active Chassis Control can lower the Speedtail by 35 mm, leaving the highest point of the vehicle just 1,120 mm from the road surface. 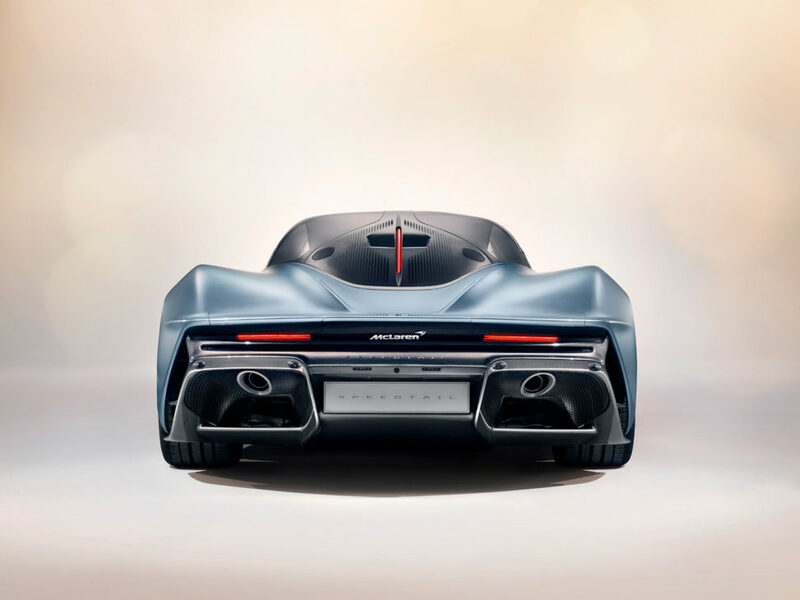 The hybrid powertrain enables a relentless increase in vehicle speed regardless of engine rpm and the low weight of the Speedtail – only 1,430 kg dry – hastens this ability. 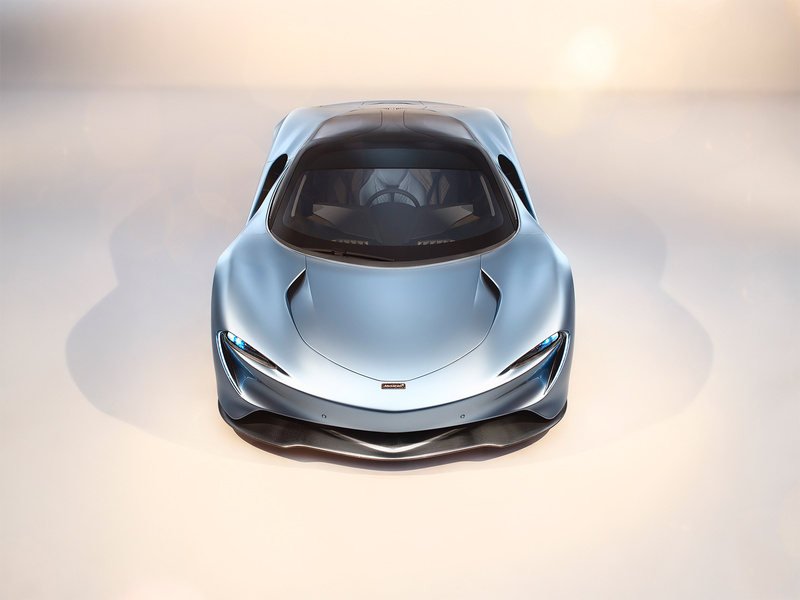 The straight-line acceleration of the Speedtail sets a new benchmark for a McLaren, with 0-300 km/h (0-186 mph) achieved in just 12.8 seconds; McLaren Automotive’s previous Ultimate Series hybrid, the McLaren P1, could reach this speed in 16.5 seconds. The driver is positioned centrally in the cockpit, with seating for two additional passengers set slightly rearwards. 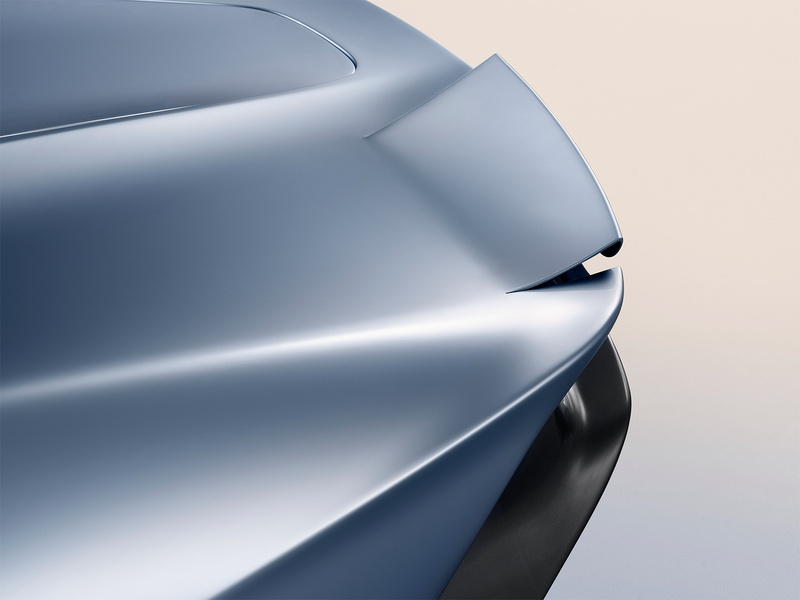 There is luggage space within both the nose and tail of the vehicle and a luggage set is available to every owner, the carbon fibre, leather and metalwork on the cases being matched to the interior specification of their Speedtail. 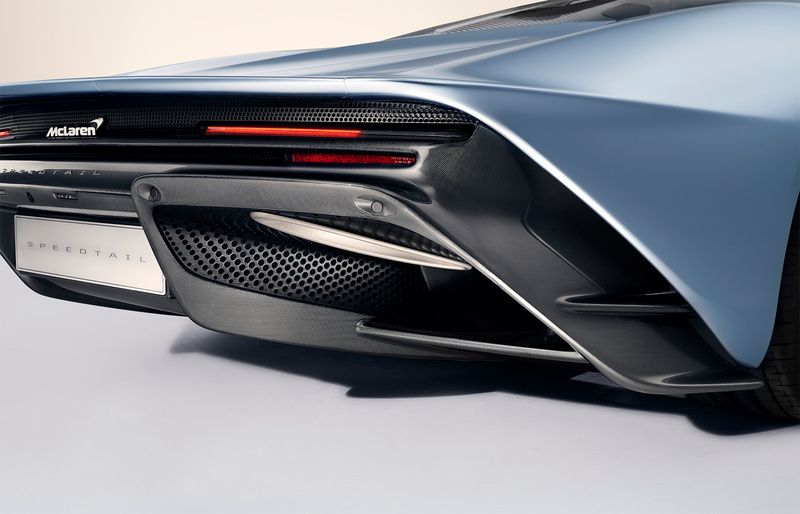 One of the innovations immediately obvious on the McLaren Speedtail is the introduction of lightweight, carbon fibre front-wheel static aero covers. Incorporated into the 20-inch, 10-spoke forged alloy front wheel design to minimise aerodynamic drag, they remain fixed in position as the wheels rotate, the flat surface smoothing airflow around what would otherwise be a turbulent aerodynamic area. 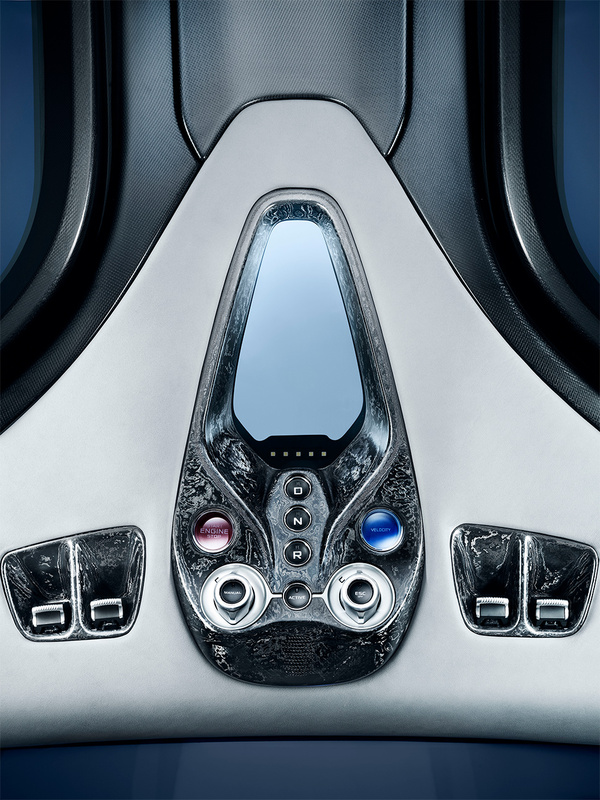 A Speedtail driver’s seat is positioned at the centre of the cockpit. This creates an unparalleled sense of space and a perfectly balanced view out of the windshield. The custom-made carbon fibre seat, inspired by the seat of the McLaren F1, offers the support and comfort appropriate for a ‘Hyper-GT’ car. Entry into this very special driving position is aided by a newly created directional leather finish that makes it easy to slide into the seat but then subtly holds the occupant in place while they drive. 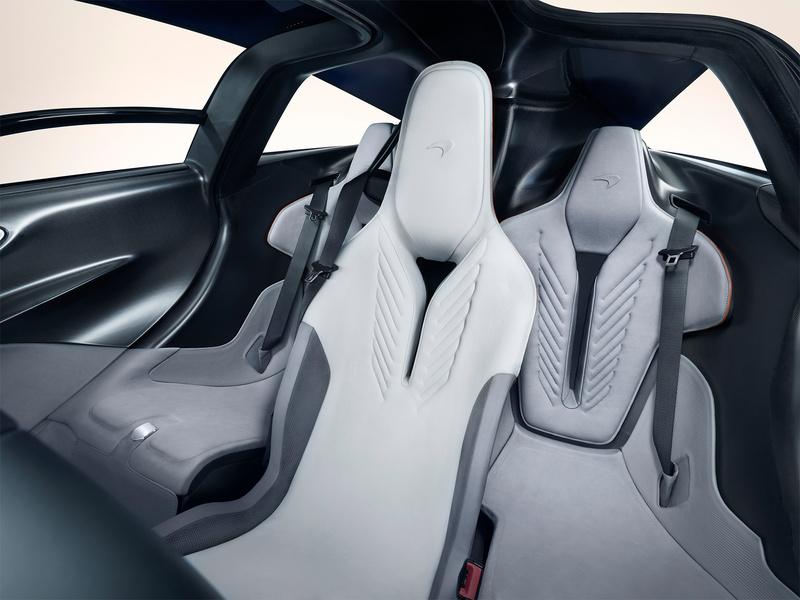 The central seat is flanked by two passenger seats that are integral to the carbon fibre monocoque. Working in collaboration with high-end Swiss watchmaker Richard Mille, McLaren used pioneering horology techniques to develop a world-first in the automotive sector: Thin-Ply Technology Carbon Fibre (TPT). 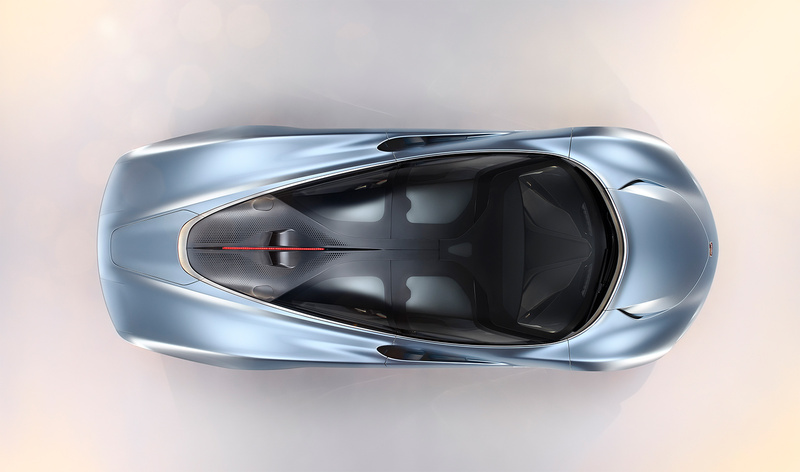 This fusion of cutting-edge technology and design with precision engineering and can be integrated into areas of the Speedtail such as the overhead control panel, gearshift paddles and steering wheel clasp. 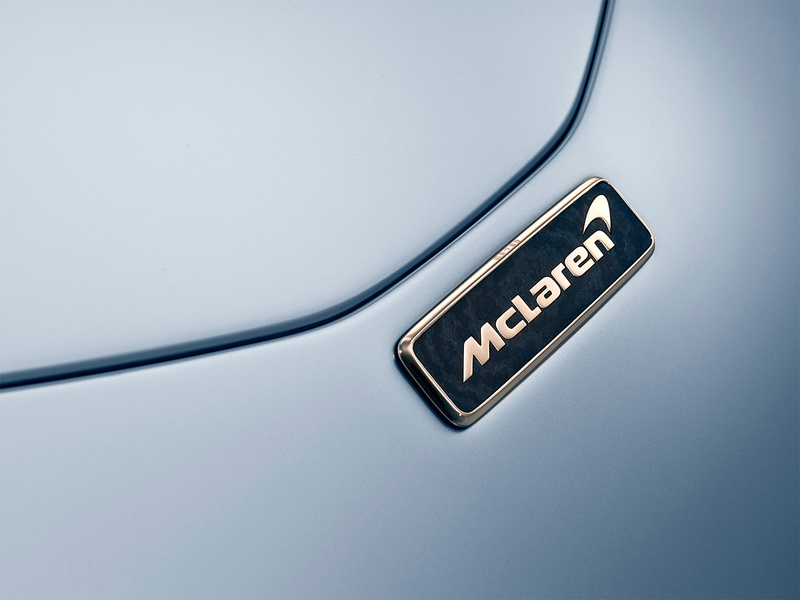 TPT is also used in the McLaren badge on the front of the Speedtail design model, with both this badge and the Speedtail name formed in 18-carat white gold, the letters being individually pressed, clipped and polished.